When I was younger I love to read comics and manga (Japanese comics), Detective Conan was one of them. I used to collect this manga and have every issues of it in my collection. Every month, I will go the magazine shop on the same date to buy all my favorite comics and manga. Sometime I didn’t even eat at school just to save money to buy them. If you are a fan of Detective Conan then this place that I visited might attract your interest. We’ve travel to Tottori, Japan this year and visited some of its famous places of interest. One of them is the Tottori Sand Dunes. While it will not interest all tourist but there’s are a lot of things to see there. Not only that the dunes is unique because it occurred in a place that doesn’t have any dessert and it is also located at the seaside. 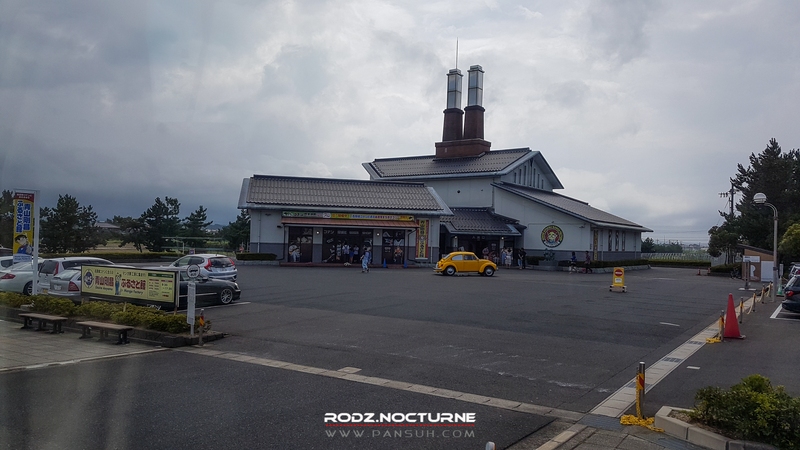 We wrote about Daisen beef here and we mentioned that we had our experience having it at a restaurant called Daisen Kuroushi Kyoshotei in Yonago city. The specialty of this restaurant is Daisen beef. Almost all of their items in their menu have Daisen beef in it. They serve it in many ways, sushi, grilled, torched and raw. We share our experience on visiting Yonago in our previous post. You can read it here. While we were there, we stayed at ANA Hotel Yonago. We stay there because it’s not far from the JR Yonago Station and also because it was recommended by many. The hotel located at 53-2 Kumecho, Yonago and it is about 10 minutes walk from Yonago train station. It also about 5 minutes walk from Aeon mall. We find it quite convenient staying there as we can find some restaurants and supermarket along the same streets as the hotel.